Thank you to everyone that donated and allowed Childsafe to provide the children with new school supplies for the upcoming school year. We were able to contribute over a thousand dollars in supplies and monetary donations of an additional thousand dollars! We could not have done it all without your help! 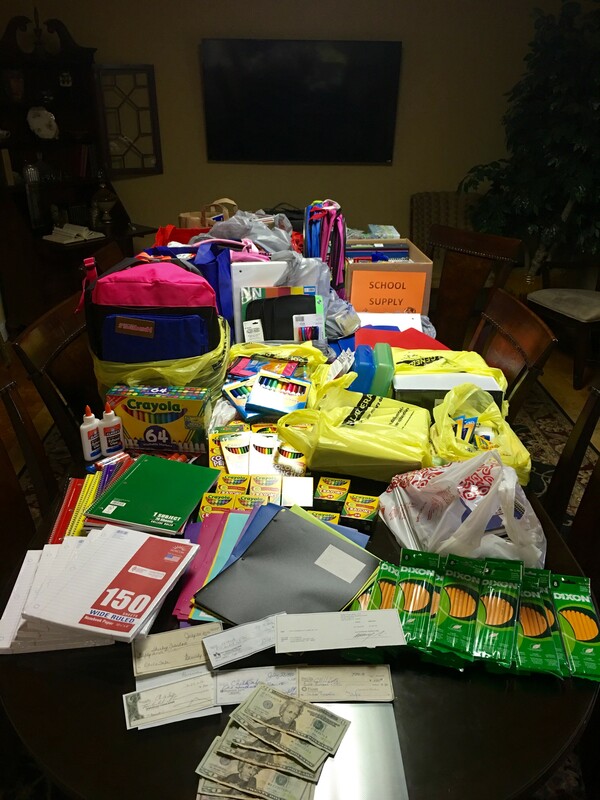 These school supplies will be given to kids who have suffered from abuse. Childsafe’s mission is to restore hope and healing through expert treatment to children and their families. We are one step closer to giving these kids a great start for their future. If there are any other foundations that your company is involved in, we would love to hear about it and get on board. Thanks again for all of the donations!